Install some quartz countertops in your home today! Quartz is one of the most popular materials used in countertops and homes today, but how much do you really know about this rock solid material? Here are some of the many hidden secrets and benefits about quartz. While quartz sounds like it would be classified as a natural stone countertop material, it technically is manufactured due to the process. Quartz countertops are made with smaller pieces of quartz bonded together with a durable and non-porous resin. As a result, these countertops made from natural stones are technically manufactured or man-made. Almost all of your quartz countertop is made from a variety of natural minerals. Most quartz countertops throughout the country are made of a blend of 97% quartz minerals and 3% resin. Some types of modern quartz countertops use pre- or post-consumer recycled products to offer additional color options. Quartz is incredibly sustainable thanks to its common presence in nature. Quartz is actually the second most abundant mineral on earth! 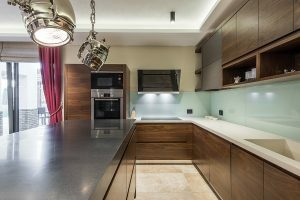 It will be many decades before we even get close to extracting a significant quantity of quartz from the earth’s crust, so you can feel great about the sustainability of your countertop material choice. While this might surprise some people, quartz is often considered to be superior to granite. Quartz is a whopping five times harder than granite, so it is next to impossible to crack it, chip it, or break it. The resin is not porous so it will never need to be sealed, so you won’t have to worry about much maintenance after installation. Quartz is also great for kitchen use since it’s resistant to bacteria, grime, or mold/mildew build-up over time. This entry was posted on Thursday, April 13th, 2017 at 10:36 am. Both comments and pings are currently closed.